with these 3 simple steps. Download the app from Google Play or check to see if it’s already installed on your phone. To add your Standard Chartered Card, simply scan your card and follow the instructions in the app. Just unlock your phone and hold it near the contactless terminal. You don’t even need to open the app. Google Pay comes with strong security protections at its core to continuously and automatically safeguard your account and personal data from security threats. Enjoy 1.5% cashback on all eligible spends. Apply as a new credit cardholder and get up to $138 cashback1. Google Pay is the fast, simple way to pay with Google. It brings together everything you need at checkout and keeps your payment info safe in your Google Account until you’re ready to pay . 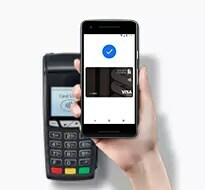 What devices support Google Pay? Google Pay works on Android™ devices running KitKat® 4.4 or higher. To use Google Pay for in store payments, ensure that your device supports Near Field Communication (NFC) and Host Card Emulation (HCE) functions. You can make in app or online payments with Google Pay even if your device does not have NFC capabilities. 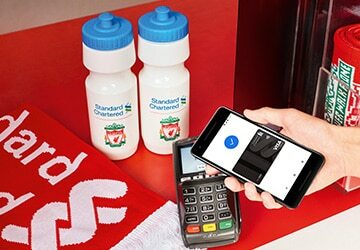 What Standard Chartered Cards can I register on Google Pay? All Standard Chartered Credit and Debit Cards (with the exception of corporate cards) can be registered on Google Pay. For in-stores: 1. Unlock your device. 2. Hold the back of your device against the payment terminal. 3. Once you see a tick mark on your screen, and simultaneously hear a beep and/or feel a vibration, it would indicate that the payment is done. For online or within apps, just look for the Google Pay/ Buy with Google Pay button at checkout. Simply tap the button, review the payment information and complete your purchase. Like all Google products, Google Pay comes with strong security protections at its core to continuously and automatically safeguard your account and personal data from security threats. And when you pay in stores, it shares a virtual account number instead of your real card details with the merchant. In other words, it’s got your back so your real card details stay safe. 1To be eligible for the Credit Cards Sign-Up Promotion (“Promotion”) available from 1 February to 31 March 2018 (both dates inclusive) (“Promotion Period”), you must (a) apply for 1 of the Eligible Cards (as defined below) issued by Standard Chartered Bank (Singapore) Limited (“Standard Chartered” or the “Bank”) as a principal cardholder (“Cardholder”) during the Promotion Period; (b) be a new to Standard Chartered principal cardholder (ie do not have any existing/previously cancelled principal credit cards in the last 12 months with the Bank); and (c) activate the Eligible Card within first 30 days of card approval. Eligible cardholders who fulfil all of limbs (a) to (c) above will receive up to S$100 cashback (“New CC Cashback”) for the Eligible Card approved under this Promotion; subject to the Current and Previous Cashback Cap as defined in the full terms and conditions for this Promotion). For the avoidance of doubt, this Previous Cashback Cap may be lesser or greater than the Current Cashback Cap of $120. No further cashback will be awarded under this Promotion if the previous cashback cap under any earlier Credit Card Sign-up Promotions has been reached, as determined by the Bank, notwithstanding that such previous cashback cap may be lesser or greater than $120. If you already have an existing / previously cancelled principal credit card with the Bank in the last 12 months from the date the Eligible Card is approved but fulfil all other requirements contained in limbs (a) and (c) above, you will be eligible to receive up to S$20 cashback (“Existing CC Cashback”) for the Eligible Card approved under this Promotion, subject to the Current Cashback Cap and Previous Cashback Cap. To qualify and receive the S$20 cashback (“Wallets Cashback”), you must: (i) satisfy all the eligibility criteria set out in (a) and (c) above, (ii) register the Eligible Card with Apple Pay, Samsung Pay or Google Pay™ (“Enrolled Card”), (iii) charge at least five (5) Qualifying Transactions through Apple Pay, Samsung Pay or Google Pay (singularly “Mobile Wallet”, collectively “Mobile Wallets”) to the Enrolled Card by 30 April 2018. For the avoidance of doubt, Qualifying Transactions through Google Pay comprise Qualifying Transactions that are made via an Eligible Card that was added and verified, creating a Virtual Account Number, in the Google Pay mobile application; and (iv) not have, at any time before the start of the Promotion Period, performed any transaction through any Mobile Wallet on any Standard Chartered credit card. Each Eligible Cardholder can only receive the Wallets Cashback once. If you are eligible to receive the Wallets Cashback, it will be credited to the Enrolled Card’s card account by 31 May 2018. 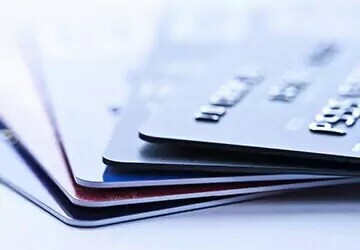 “Qualifying Transactions” are retail transactions that exclude certain transactions including but not limited to insurance premiums, bill payments and payment via AXS network, which are charged to an Enrolled Card through any Mobile Wallet. If you satisfy all the relevant eligibility criteria set out in the above, you will be eligible to receive up to S$140 cashback based on: S$100 for the first credit card (New CC Cashback); S$20 cashback for the second credit card (Existing CC Cashback) and S$20 cashback for mobile wallets (Wallets Cashback), subject to the Current Cashback Cap and Previous Cashback Cap. This Promotion is not valid with other offers, discounts, rebates, vouchers, privileges or promotions unless stated in the full terms and conditions. Credit Cards Sign-Up Promotion Terms and Conditions apply. Please visit here for full terms and conditions, including eligibility and exclusions. “Eligible Card” refers to Unlimited Cashback Credit Card, Platinum Visa/Mastercard® Credit Card, Spree Credit Card, NUS Alumni Platinum Credit Card, Prudential Platinum Credit Card or PruPrestige Visa Signature Credit Card.